From what triggers it, to whether or not it can be delayed. When do most women go gray? "Most women who are in their 30s should see a few gray hairs. But by the time they get into their 50s, most women should expect to have more than 50 percent of their scalp hairs turn gray." Why do we get gray hair in the first place? "Gray hair is a combination of normally pigmented hairs interspersed with white ones. Hair turns white when the pigmentation cells responsible for color (melanin) stop being produced." Is it possible to slow the rate of graying hair? 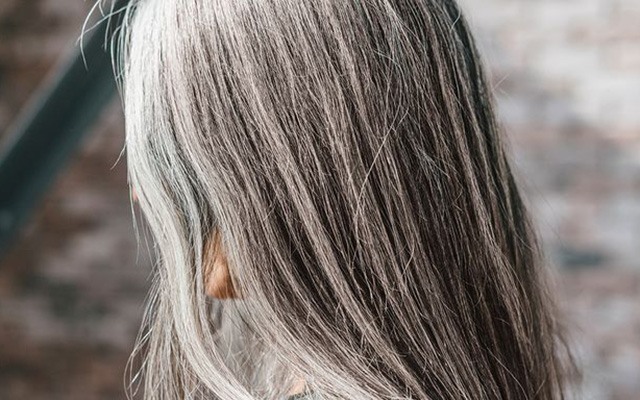 "Nutritional and hormonal factors can affect hair color as well as stress but, by and large, the predisposition to go grey earlier or later in life is genetic." Is gray hair more common in certain people? "Gray hair is an inherited trait—if your parents went gray early there is a possibility that you will too. Caucasians seem to go gray earlier and some health conditions may cause premature graying such as diabetes, pernicious anemia, or thyroid problems." What should we eat to maintain healthy hair? "Hair consists of protein (keratin) so it's very important for strong, healthy locks. Foods like eggs and fish are all good sources of first-class protein. These consist of amino acids (some essential and some non-essential). Deficiencies of iron, calcium, zinc, vitamin D, B12, and B6 can be common so it's important to eat foods that contain these vitamins or, if you're a vegetarian, it may be necessary to take them in supplemental form." 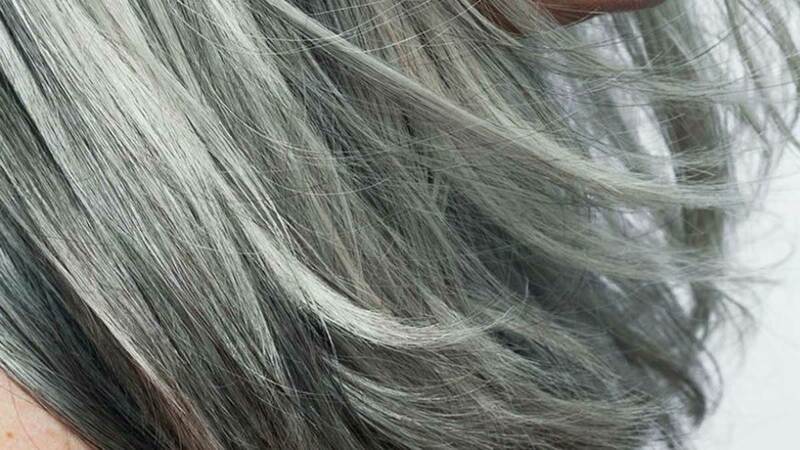 Is there anything we can take to combat gray hair? "A multivitamin supplement with Omega-3s can prevent the hair from being dry and lifeless as they have a moisturizing effect. This can also reduce itching and dandruff. The supplement should also contain copper, which is known to prevent the onset of graying hair by boosting the production of melanin (the pigment that gives hair color). Can we make lifestyle changes to improve our health? "Since hair is such a barometer of our health, any improvements we make to our general wellbeing will be a bonus for our hair. A well-balanced diet rich in proteins, carbohydrates—which contain key essential vitamins and minerals—are great for hair growth. As our tresses are recognized as a non-essential tissue by the body, we need to top up our energy levels with proteins and carbohydrates every four to five hours. Research indicates that the energy available to non-essential tissue such as hair follicles may be reduced after this time. Since certain diseases can have an impact on the immune system and may possibly cause deficiencies, it's wise to have blood tests at least once a year through your own GP or private practitioner." Does "massaging the scalp" actually do any good? "Like our bodies need regular exercise, so does our head. Shampooing hair daily means we are massaging our scalps, which in turn results in a clean, fresh, healthier scalp. Massaging our scalps through a kneading action means we are taking vital nutrients to the scalp via the blood supply and feeding our follicles."